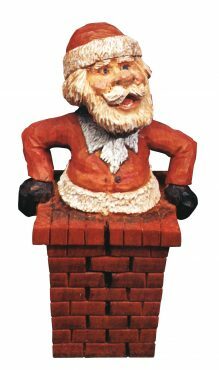 Tom Wolfe is one of the most prolific authors of woodcarving books in the United States. Tom’s instructional texts have influenced thousands of carvers. 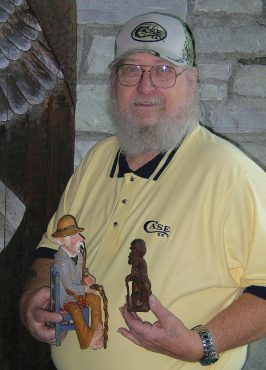 With more than 50 books to his name, Tom has taught generations of carvers how to complete everything from caricatures to woodspirits. When Tom graduated from high school, he started working as an overhead crane operator in a steel mill. During slow times, Tom would carve while sitting in the cab of the crane. He sold a lot of the pieces he carved. After a while, he sold enough of his work to feel comfortable leaving the steel mill in order to make a living selling his carvings. 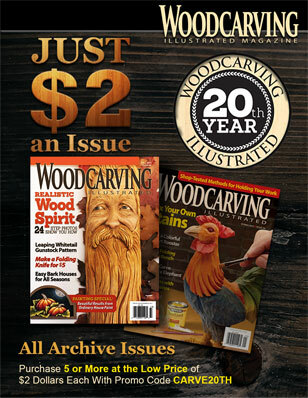 Tom was approached in the early 1980s to write a book about woodcarving. Tom ended up writing his first book, Country Carving, for Schiffer Publishing. From there, Tom’s writing career took off. Tom said his closest competitor in number of books is Harold Enlow, who has written about 20 books. Tom was elected into the Caricature Carvers of America (CCA) in 1992 and is still an active member. Mitch Cartledge, who was inducted into the CCA in 2009, said Tom really helped him get started in carving. “Tom Wolfe is the first real carver I found when I became interested in carving,” Mitch said. “Tom’s guidance, first through his books and later in person, has been a real gift to me. 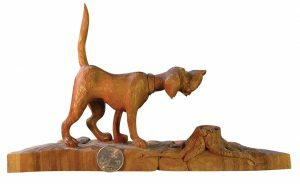 Tom’s style of carving and his ability to relay that through books is simple to understand, yet challenging enough to push me to develop my skills,” Mitch added. I realized the difference between whittling and carving. Tom removed shavings quickly and with precision. His cuts had purpose. He wasn’t just removing wood. That’s when I really understood that carving was an art. 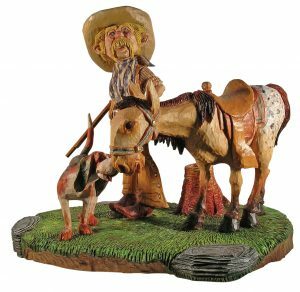 Tom’s books introduced woodcarvers to all sorts of different carvings, but more importantly, Tom made each of those styles of carving approachable and understandable for woodcarvers of all skill levels. 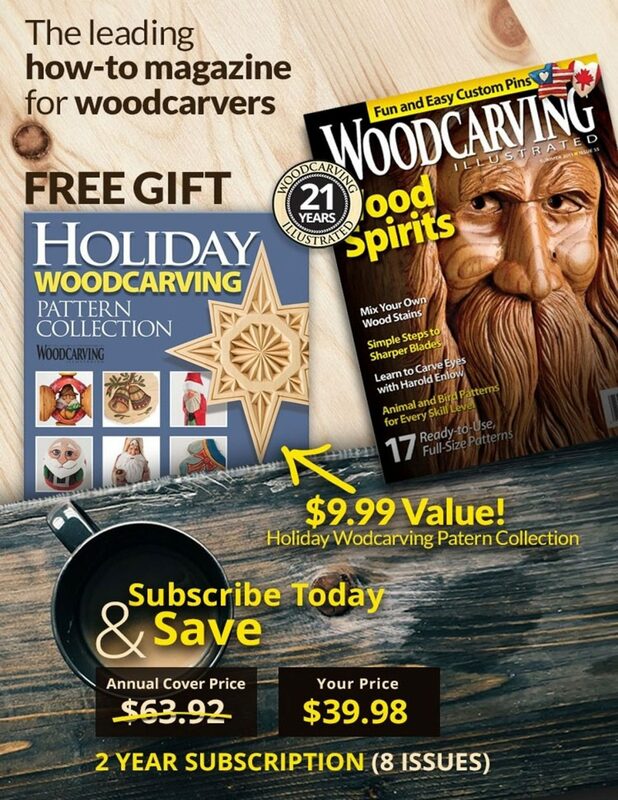 As one of the woodcarving community’s best-known authors, Tom continues to inspire new carvers around the world through his classes and his instructional books.